The underlying belief of our Victory Garden Campaign is simple -- anyone, even the poorest villager, can grow plenty of food to feed their families. We met Selina yesterday. 3 months ago, her family was malnourished. Today she has tomatoes, beans, squash, cassava, sweet potato, leafy greens, okra, and more. Selina didn't spend a penny to create her garden. No chemical fertilizers. No inputs. And now she has food. Thank you, my friends. For Selina, and the many other Malawians, your support has made this possible. Face-to-Face is delighted to announce we have partnered with the Ekari Foundation to bring Victory Gardens into the Phalombe district in Southern Malawi. At F2F, we believe in peer-to-peer teaching to train locals to become garden facilitators who then teach fellow villagers how to create home gardens. These chiefs and leaders then work with other tribal districts, in this case Phalombe, generating a collective sense of inspiration and motivation as villages across Malawi learn that they can grow enough food to eat. Last week, F2F brought 4 of our local facilitators to conduct a 3-day workshop near Mulanje, Malawi's highest mountain. After a warm, exuberant welcome, 35 Phalombe villagers created low-cost high-yield Victory Gardens, friendships were formed, and a promise was made that all 225 families in Phalombe would have gardens by July 2017. F2F arrived in Malawi earlier this week and we wanted to update everyone on all the amazing progress going on in the field. As of February 3rd, 330 NEW Victory Gardens have been planted since our last count in early January. We have now surpassed 2,700 Victory Gardens created in our three tribal districts since the Campaign's launch in July 2016, and that number is constantly growing. We are bowled over with the lushness of many of the gardens, and with every garden created we are one step closer to winning the war against hunger. More updates to come over the next week, but we wanted to share this very exciting news with everyone who helped make this possible. So thank YOU for your ongoing commitment to F2F and here's to 2,000 more! Update From The Field: We Can Learn! Her grave situation made worse by a crippling drought, HIV+ Silva wondered if she and her family would survive the famine of 2016. As part of F2F’s Victory Garden Campaign, other HIV+ mothers and F2F volunteers helped Silva create a no-cost high-yield home garden in August. By September, Silva’s garden thrived, even though the practices were very new to her. November 8, this is Silva, in her garden. Silva helped neighbors create their own victory gardens. 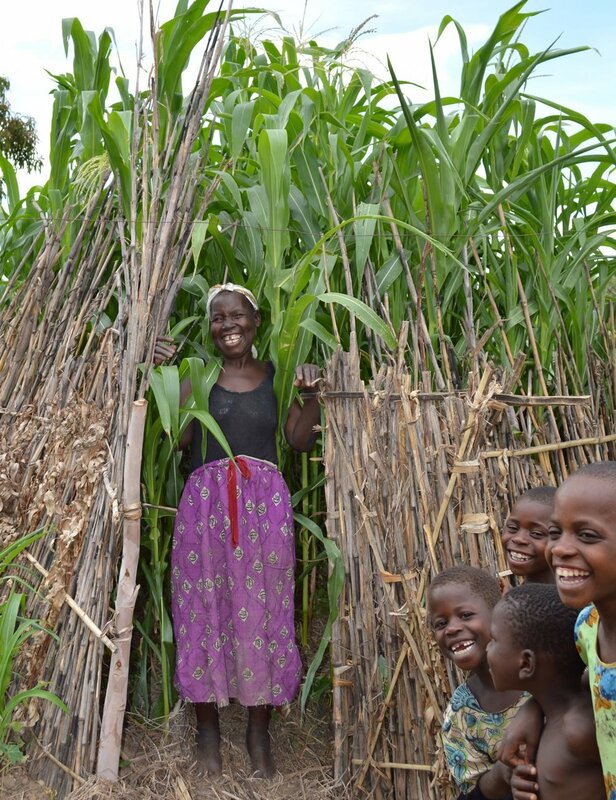 Silva and her village are surviving the biggest humanitarian crisis in Malawi’s history. So many people are angry that their government isn’t doing anything for them. Being just angry, and voting with anger, doesn’t solve long-term problems. Doing things for yourself and your community does, and Silva knows she now has food to feed her children. Compared to August when no one had victory garden, a whopping 60% of homes in Silva’s village now have victory gardens. 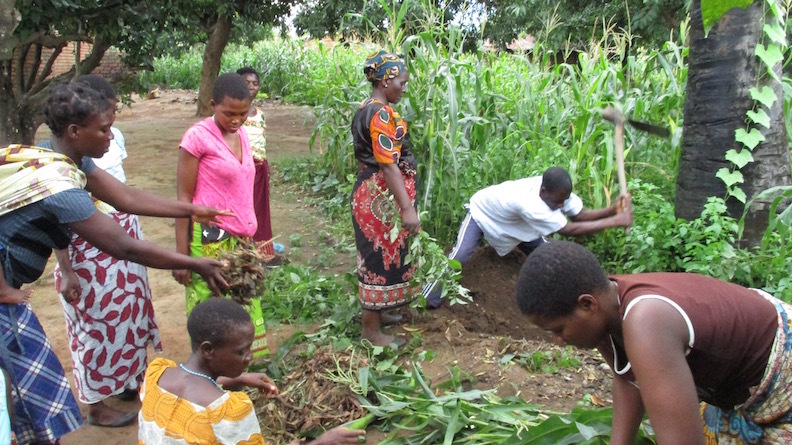 While millions of bags of food relief for Malawi pile up in distribution pile-up, Silva and her village are counting on themselves to control their future. We can all learn from this! 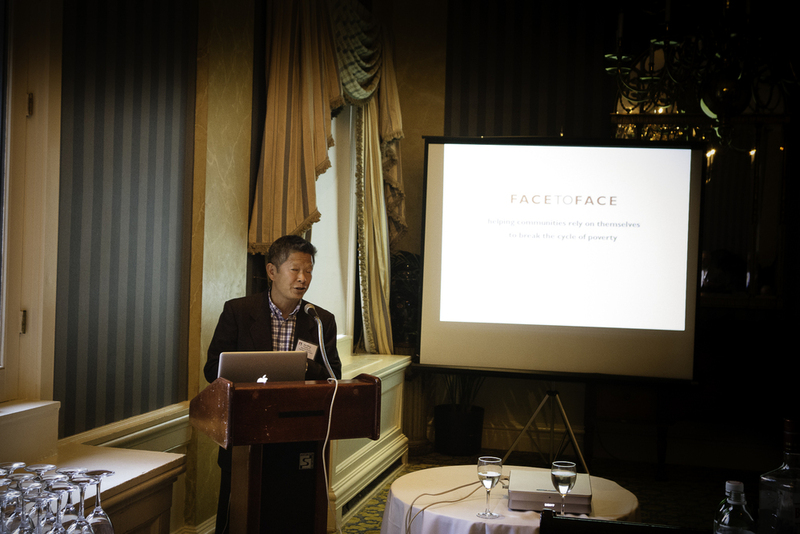 On May 14th, 2015, The Face-to-Face Project held a cocktail party at The Penn Club to discuss the status of our permaculture and food security programs in Malawi. 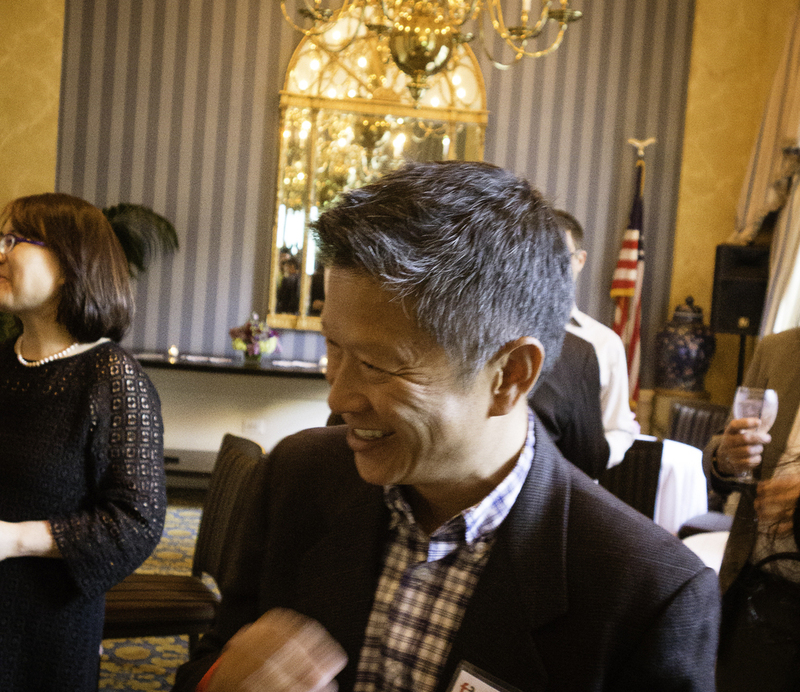 Sponsored by Raana Khan, the evening featured a presentation by Founder and Executive Director Ken Wong, who shared what The Face-to-Face Project is doing to combat hunger, and the remarkable impact the work is having on families and communities in Malawi. Thank you to the long-time supporters and new faces who joined us, and to Raana Khan for so generously sponsoring the evening! Permaculture - that comes from "permanent agriculture". That's living sustainably and organically off the land, and it really could be a matter of life and death here in Malawi - recently picked as the poorest country in the world by one source. A huge callout to our friends in Oberlin, Ohio, as well as the Isora Foundation, for helping F2F make such a huge impact and giving the people the ability to free themselves.